In just two days, the latest collab range from our favourite pals, Supreme and The North Face, will be unleashed online. Much to the delight of hypebeasts everywhere. Following on from their Spring/Summer 2018 Snake Print collection, the Fall capsule is basically a series of very, very fancy jackets, constructed from premium lambskin leather. Guaranteed to keep you warm whilst still looking fashun. The collection is very Melbourne, fitting seamlessly into that northside street style mould: lots of oversized bombers, bold colours and (you guessed it) fanny packs. It seems the 90s dad look is here to stay, at least for another season. The collab is reminiscent of their 2017 Fall collection. You've got the Mountain Parka, Mountain Waist Band, Shoulder Bag and a six-panel hat that all come in black, red, green and purple. Added features include Supreme and North Face's signature co-branding on the right arm of the Mountain Parka, two large front pockets, a full-zip fixed hood and Velcro cuffs, because there’s nothing more satisfying than the sound of ripping Velcro. While we don’t know exact prices, past collabs suggest collectors can be sure to spend anywhere from the $80-100 mark a piece. Their previous fall collection saw the Leather Gloves go for $207 and the Leather Nuptse Jacket RRP for $1540. 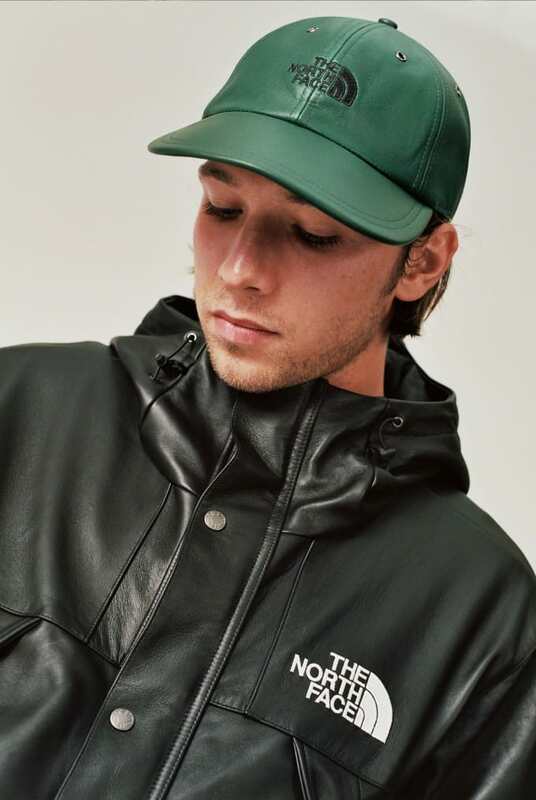 Their limited edition appeal means value will only increase over time (see last season’s SnakeSkin Jacket going for AUD$550 on designer marketplaces like Grailed and StockX). The Fall 2018 collection hits flagship stores in Manhattan, Brooklyn, LA, London and Paris as well as online on October 18, closely followed by Japan on October 20. Image credit: The North Face.